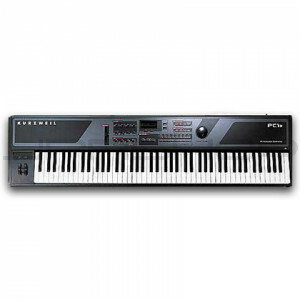 The PC1X has 512 on board programs, including Kurzweil's acclaimed Orchestral collection and full GM 1 compatibility. It also includes 64 set ups. 64 voices give the user plenty of polyphony. The PC1X also has MIDI In, Out, Thru, an arpeggiator, user controllable EQ, 32Mb sample ROM and one expansion slot for an additional ROM block. The Flash ROM engine can be upgraded over MIDI. With nearly all the features of the PC2X-O at an affordable price, the PC1X is too good to pass up!